Shelf and securing system for your studio computer. This is the Halo Accessory Shelf for your CPU. 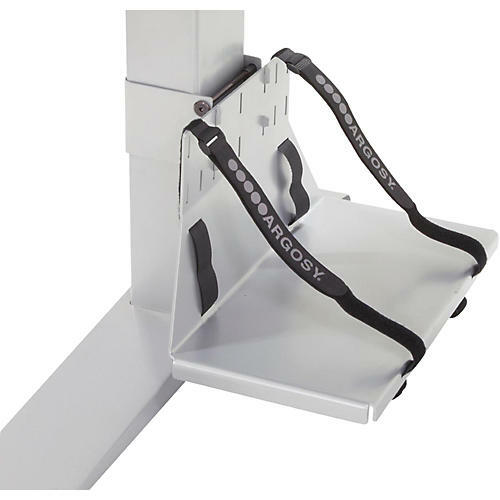 Made from heavy guage powder coated steel, the ARGOSY CPU Shelf easily attaches to the leg of your HALO Workstation to keep your computer off the floor and protect vital connections. ARGOSY CPU Straps are included. It attaches to one leg (either) of the desk, and provides a sturdy shelf that elevates it, along with a pair of straps that secure it. Safe and out-of-the-way, your CPU can be the behind-the-scenes powerhouse it is supposed to be. Heavy gauge steel. Quality build. Order with your desk.